What is Viscose/ Rayon Fabric? Viscose or Rayon (also known as Rayon Challis) is a man-made, woven fabric made from natural fibres. What can I sew with this fabric? This fabric drapes beautifully and feels soft and luxurious to the touch. 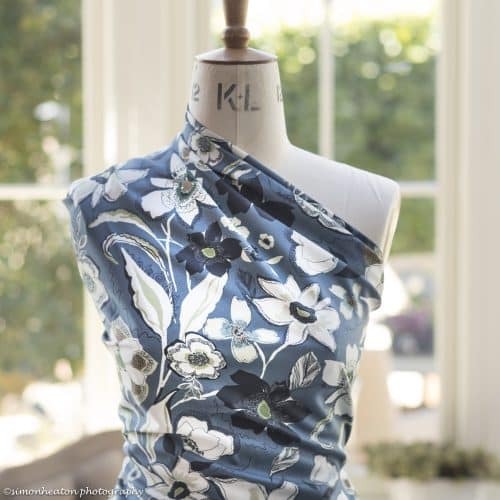 Additionally, it is a lightweight fabric so you will find it makes lovely dresses, skirts, trousers and tops. Below you can see a circle skirt made from Rayon Challis. Click the photo to be taken to our Circle Skirt Tutorial. How do I care for Viscose/ Rayon Fabric? Machine wash at 30 degrees Celsius. Select a gentle cycle and a low spin speed. Woven rayon/viscose fabrics can also be hand washed using warm water and a gentle detergent. Hang to dry. Iron on a low to medium heat with steam. Any tips for sewing this fabric? • Wash before cutting and sewing, to avoid shrinkage. • Use more pins than you usually would. This helps to keep the seams together and stop the fabric layers sliding around. • Try to avoid positioning pinheads over the fabric because they can distort the fabric. • Additionally, it can be help to tack or baste some seams before sewing them for real, just to check they go together accurately. 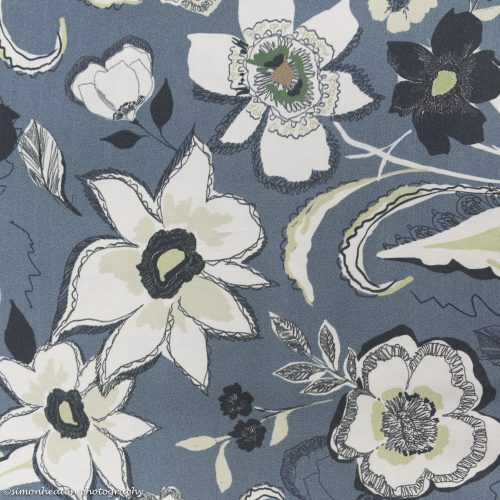 We hope you enjoy our lovely range of Viscose/ Rayon fabric – we stock some beautiful prints that range from floral to geometric.